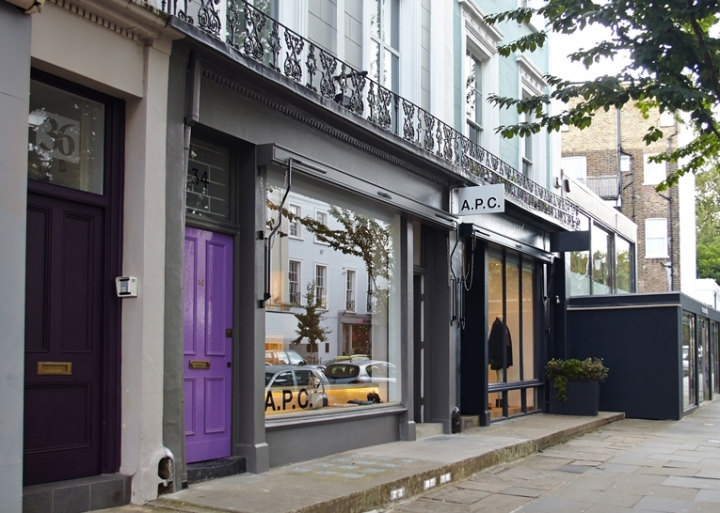 Following store openings in Shoreditch and Soho, french contemporary brand A.P.C. 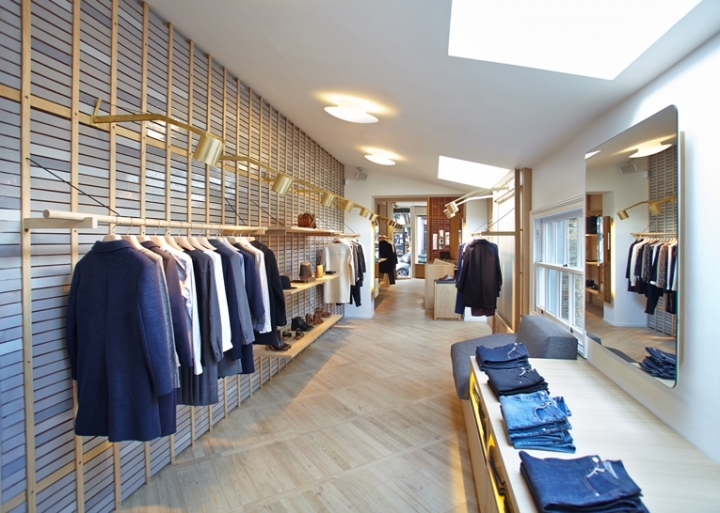 has expanded its footprint in london with third outlet in Notting Hill. 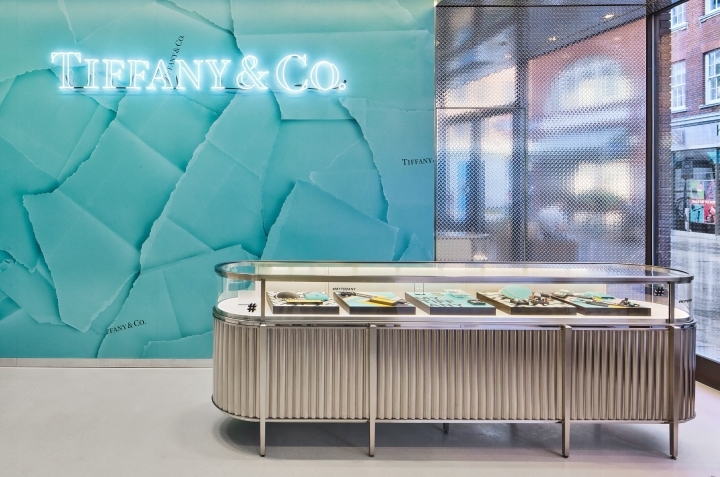 In line with the aesthetic of the previous boutiques – each one features glazed ceramic bricks as a nod to the victorian pubs found across town – the brand's newest store is also designed by paris-based architect Laurent Deroo. It occupies an elongated ground floor unit, and has its walls covered in vertically stacked bricks and in variations of grey, with a superimposed framework of slats that ties in with the light oak flooring. 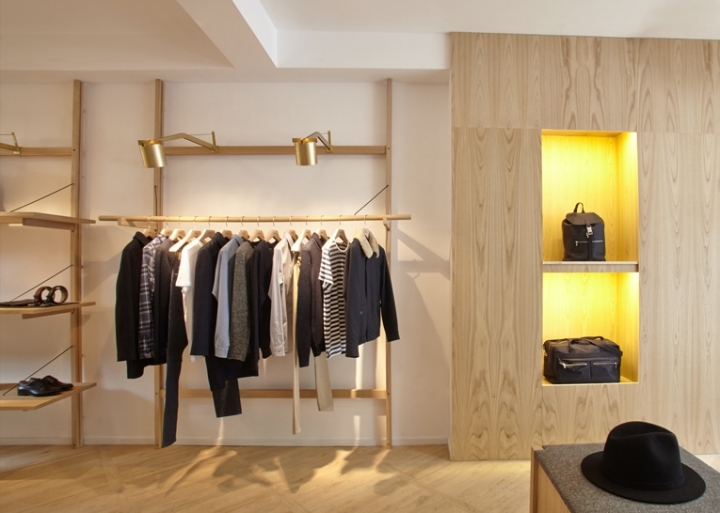 Brass light fixtures, both suspended and attached to the framework, add a warm accent to the clean design. At the cash desk, the bricks stop to form two small windows from where staff can see the store. 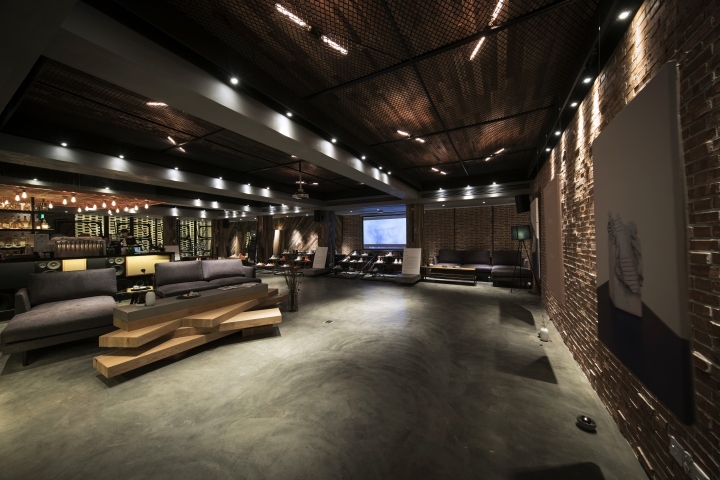 Furnishings consist of a set of sofas and matching wooden and felt cubes that serve as displays. 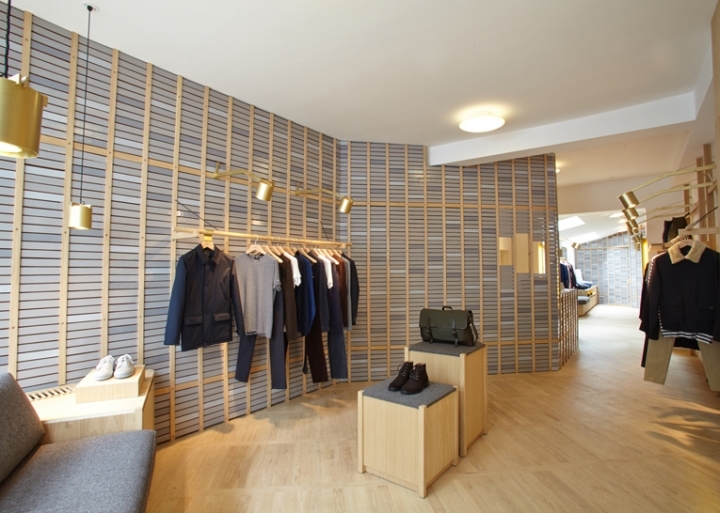 The new A.P.C. 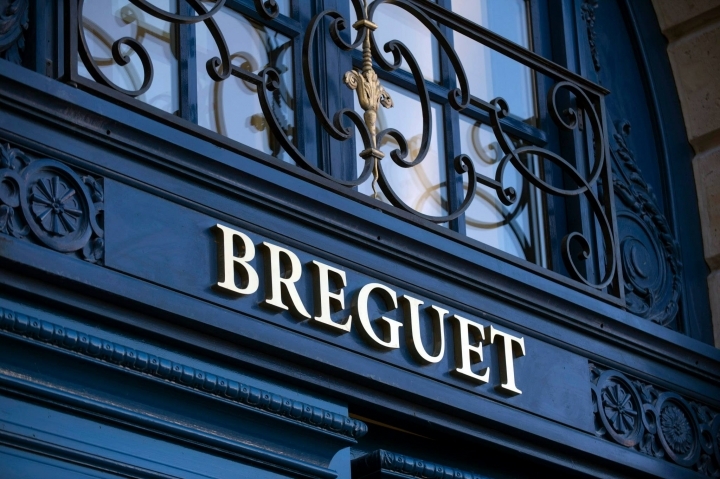 store carries the brand's full men’s and women’s collection, in addition to denim pieces, accessories, quilts and scented candles.